There are hundreds of concerts of Frank Sinatra, but some of them are very special. This might be because one particular concert was on a historic date, or very important people attended it, or it was at a very important place, OR it was so good. This 1961 Frank Sinatra Sydney concert is a special one, because in many ways it is awesome, magnificent, and brilliant. And what’s more? We have the video of it. 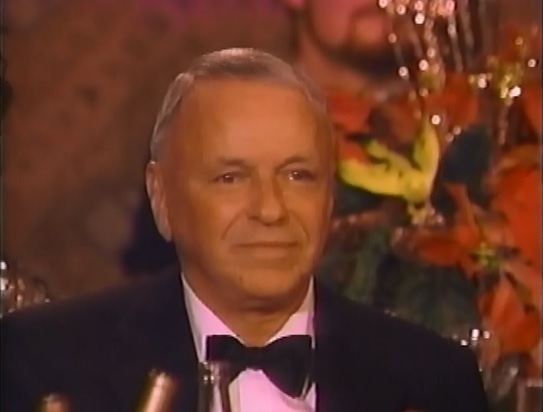 Sinatra comes to stage while the orchestra is playing the music of Ring a Ding Ding and the show starts. He is totally in the mood for singing the songs in this concert, and the way he sings makes some of the songs much better than their studio versions. You can feel the swing and his energy while watching it. When I wrote this post, there were many available videos of this concert on Youtube, but allmost all of them are taken down now. I specifically want to mention the performance of “I’ll Be Seeing You” because in my opinion, this is the best version ever. Some might find the tempo fast though. Sinatra performed this song only few times live, so it is a treasure. Below is Frank Sinatra’s “Without A Song” performance. Here is the songs list of the concert. Following images are of Frank Sinatra Sydney Concert program, and concert tickets. It is a real real shame that this Frank Sinatra Sydney Concert is not officially available in a better quality. We have too many average concerts which are officially released, but this super concert can only be watched on YouTube thanks to uploaders. In fact, if I had not uploaded all the songs, you would miss some songs as not all of them were available before. Who knows how many concerts there are as good as this Sydney one without our knowledge.